We are on Day 7 of our EPIC 8 Days of Giveaways and we have THREE, yes THREE fantastic prizes for you! Ready? “Create your own personalized Moleskine Photo Book to capture life’s important events and projects. 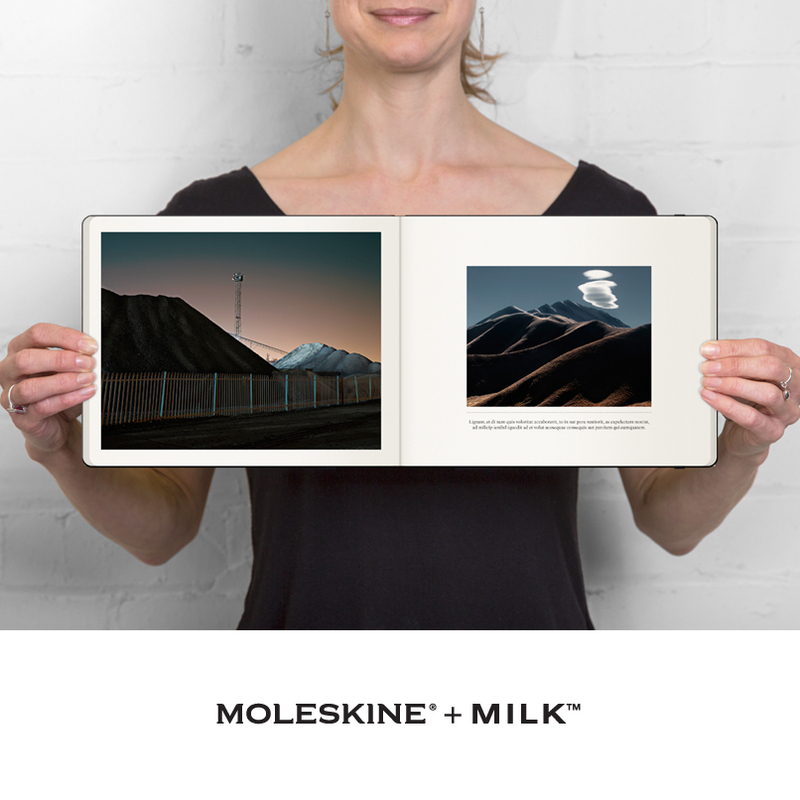 Your genuine Moleskine photo book features official materials perfect for professional or personal use – ivory-colored paper, rounded corners, elastic closure and expandable pocket. We absolutely love how easy the books are to create, the sleek look and the superior quality. Stop by the site and see everything that MOLESKINE + MILK has to offer! 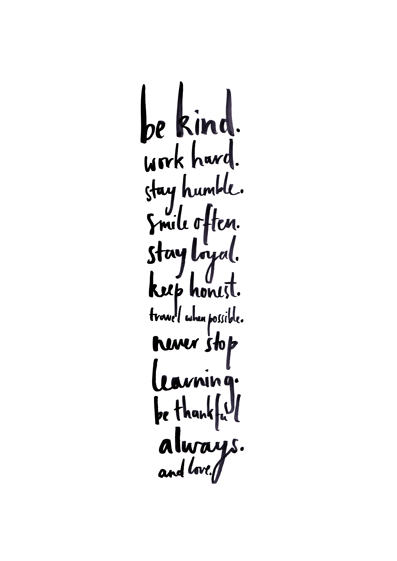 Our second prize is a Digital Print of the Bianca Cash “Be Kind” Poster! The stunning handwritten type is written with black ink and paintbrush, and the lovely words are the artist’s own. Bianca Cash is freelance graphic designer, illustrator and photographer from Melbourne, Australia. For more information on her projects and to visit her blog The Little Night Owl click HERE. 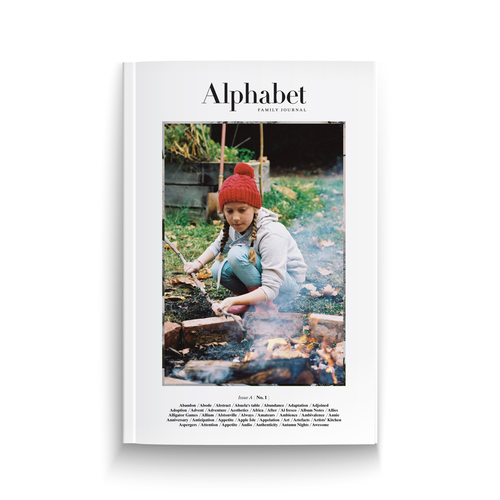 “Alphabet is a magazine for people who make a home together. We believe the home is a lived space and not a showroom. We believe that when families return to the basics—acts of gratitude, curiosity, collaboration—they are writing the kinds of living stories that are meant to be shared. This is where we share them. To learn more about Alphabet Family Journal or how to order Issue A, click HERE. Pretty amazing, right? Ready to win?! Contest runs from 8am – 10pm. One winner will be announced on the entry form on July 3, 2014. WInner has 48 hours to claim prizes. Full set of terms on the entry form.